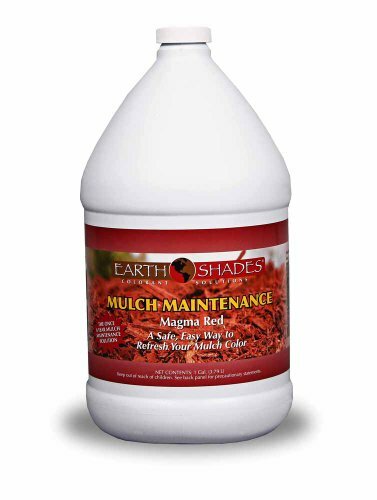 Earth Shades Mulch Maintenance Colorant - Restore the fresh, colorful appearance of your mulch at a fraction of the cost of re-mulching! Water soluble until it dries, easily applied with any conventional sprayer. Won't harm plants, covers stains and residues. Not for use with food or feed crops. Shade can be controlled by the amount applied. 3-4 oz. mixed with 1 gallon of water will treat 200-400 sq. ft. In 1/2 gallon containers. 3 - 4 oz. mixed with 1 gallon of water treats 200-400 sq. ft. If you have any questions about this product by Earth Shades, contact us by completing and submitting the form below. If you are looking for a specif part number, please include it with your message.